In its May 2015 issue, The American Lawyer concocted and published inaccurate average global profits per equity partner numbers for Dentons in its AmLaw 100 survey, reporting grossly inaccurate conclusions. Furthermore, it did so without noting to its readers that Dentons’ figures were not provided by the Firm but, instead, manufactured by The American Lawyer. Now The American Lawyer has admitted it was wrong and that the global average profits per equity partner numbers it initially published underreported Dentons’ performance by 37%. Dentons’ global average profits per equity partner materially increased rather than decreased year over year, the opposite of what The American Lawyer originally reported. The American Lawyer's erroneous reporting confirms Dentons' position that the use of figures such as average global profits per partner -- at least for global firms like Dentons -- are impractical and irrelevant as metrics of a firm's success. In light of the magnitude of The American Lawyer's misreporting of Dentons' information, audit firm KPMG, at Dentons' request, reviewed and endorsed Dentons' process for developing an average global profits per partner number for the Firm. This points to another flaw in the magazine's methodology: rather than requesting law firms to adhere to uniform, accepted accounting definitions, The American Lawyer publishes self-reported figures from participating firms that are subject to all widely varying interpretations inherent to such a loosely defined process. The American Lawyer's recent reversal is the direct result of Dentons' public challenge of the magazine's flawed methodology and conclusions. As a result of our campaign, others have begun to question the efficacy of the AmLaw 100 survey as well. 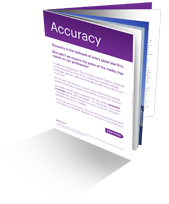 We encourage you to examine the documents provided on this website to find out more about Dentons' campaign for more meaningful metrics of law firm performance. The American Lawyer was wrong and its errors reinforce our perspective that it is time for the legal profession to create more accurate methods of measuring success.